Helmut Josef Ascher, 92, of Downingtown passed away peacefully Wednesday, November 28, 2018 surrounded by his loved ones. Born in Schwaebisch Gmuend, Germany he was the son of the late Heinrich and Agnes Reisert. Helmut is predeceased by his beloved wife, Ruth Johanna Ascher (nee Ditter), with whom he shared 54 loving years of marriage. 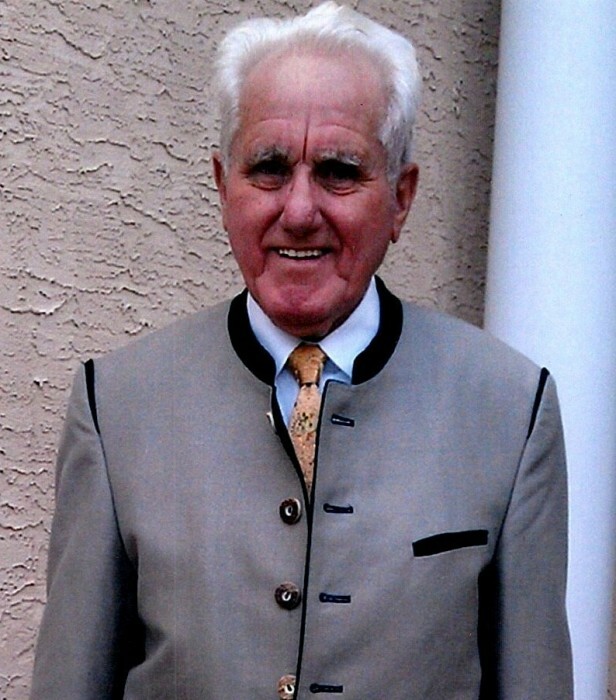 Helmut immigrated in 1953 from Germany to Denver, Colorado where he became the owner of his own maintenance contracting business and traveled internationally as a singer with the Denver Turnverein Men’s Choir. Then in 1988, he and his wife moved to Chester County to live with their family. Helmut was a member, past director and past president of the Exchange Club of Exton, and a longtime member of the Downingtown Senior Center. Known as a man that loved to help others and serve his community, Helmut actively volunteered for many years with Meals on Wheels and would often be spotted this time of year ringing a bell for collections with the Salvation Army. He single handedly collected 4000 bags of trash through the “Adopt-A-Highway” program and was personally recognized by local officials and the governor of the state for his part in keeping PA clean. Helmut is survived by his daughter, Diana Linda Anders (Donald); grandchildren, Adam Ascher Anders (Lauren), and Michael Edward Anders (Kimberly); along with great grandchildren Benjamin, Nicholas and Ryleigh. Services for Helmut will be held Wednesday, December 5, 2018 at the James J Terry Funeral Home 736 E. Lancaster Ave. Downingtown 19335 with visitation from 3 – 5:45pm and memorial service beginning at 6:00 pm. In lieu of flowers, contributions can be made to the Exchange Club Family Center, 310 N. Matlack St., West Chester, PA 19380 or via their website at www.familyservice.us, using the “Donate” screen and selecting the Designation choice of “Exchange Club Family.